Enjoy an evening out this Valentine’s Day while we entertain the kids! Kids wear pajamas and will be entertained with Brazilian jiu-jitsu classes, snacks, movies, arts and crafts, and games! 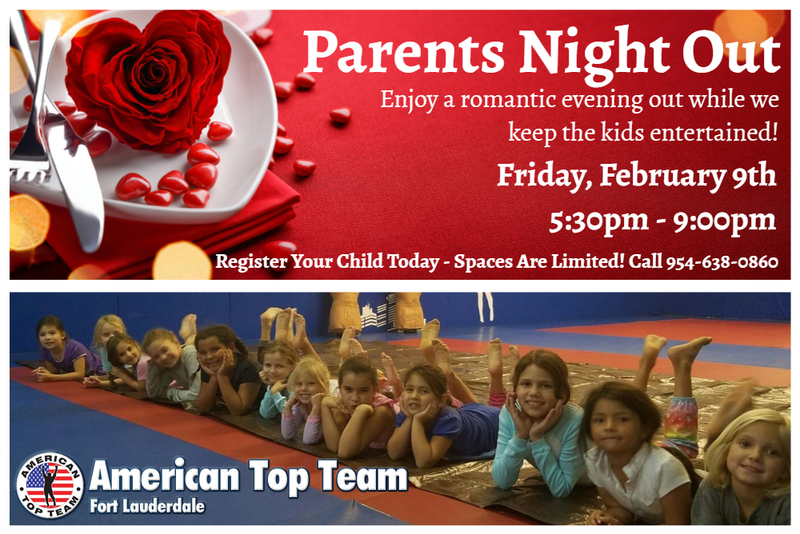 Spaces are limited – Call Ana at 954-638-0860 or email anaattftl@gmail.com to reserve your child’s spot.